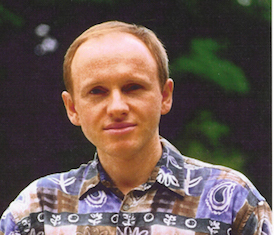 Mr. Dmitriev’s compositions include Symphony for symphony orchestra opera Mitya’s Love (libretto by the composer, based on the Nobel Prize winning writer Ivan Bunin’s short story), Symphony and Suite for string orchestra, music for the wind instrument orchestra Reminiscence of a Waltz, Toccata and Choral, and The Call. His choral music include three choral concertos The Tale of Evil and Misfortune, Svetlana, and The Ancient Mariner, compositions for children’s and SA chorus I Sing In the Choir and Little Boy Blue, and other works for mixed chorus, such as Three Alexandria Songs, Rosstan, 2 Songs on poems of Brodsky, and choral anthems. His chamber instrumental music includes sonatas for violin and piano, viola and piano, cello and piano, piano trio, brass quintet, and string quartet, Romance for five instruments, and Salieri Variations in three versions (for violin, viola, or cello solo). Among his compositions for piano are Ballade, Salon Music, Sovetskaya Fantasia, Rhapsody on a Theme of Rachmaninov and Yaddo Suite. His recent vocal works include Love-Songs, At Once Tender and Informative for tenor and piano (poems by Samuel Hoffenstein), Blagodat’ for high voice and piano (poems of Evgeny Nefyodov), and Chanson Russe for soprano, tenor, and piano (poems by Igor Severyanin). His music was performed by such American groups and the Da Capo Chamber Players, Euterpe Ensemble, New Amsterdam Singers, Kantorei Chorus, as well as Haydn Orchestra (Italy), Moscow Song and Dance Ensemble, Belorussian State Chamber Chorus, Graina Chamber Chorus, Minsk Chamber Chorus, Minsk Male Chorus, Yaroslavl Symphony Orchestra, Grodno Chamber Orchestra, Belarussian National Symphonic Band “Nemiga”, and Belarussian State Opera Theater. Among the individual performers are the cellists Andre Emelianoff and Iosif Feigelson, violinists Sander Strenger and Yevgenia Strenger, tenors Paul Sperry and James Rio. Alexander Dmitriev is a native of Lugansk, Ukraine, and grew up in Khabarovsk, the Far East of Russia. He holds the B.A., M.F.A. and D.M.A. diplomas in Composition from Moscow Tchaikovsky Conservatory, where he studied composition with Evgeny Golubev and Albert Leman. Before his arrival in the U.S. in 1993, Mr. Dmitriev was a Professor of Composition and Orchestration at the Minsk University of Culture and Belarussian Academy of Music. He continued his teaching career as the Assistant Professor of Music/Choir Director at the St. Tikhon’s Theological Seminary in Pennsylvania. He is also active as a pianist, conductor, and arranger for chorus, orchestra, and wind ensemble. He resides in Pelham, NY, with his wife, composer Alla Borzova.